I'm personally excited that it is finally bowl week and look forward to watching Duke take on a tough 15th ranked Arizona State Wildcats team on Saturday. I want to also wish all of the Blue Devil Nation Happy Holidays and a Merry Christmas and hope all of you can spend time with loved ones. Please consider saving me the leftovers this holiday season and with that said here is an abbreviated version of Monday Musings to get the week started. The Duke Blue Devils football team takes on the Arizona State Sun Devils this coming Saturday in the Sun Bowl. The event has long been covered by CBS Sports and they provided plenty of commercials for the annual game during their NFL telecasts on Sunday. I cannot help but to think back to watching the Sun Devils throttle Notre Dame and their coach in the post game interview. Like Duke, Arizona State is seeking respect and he hammered home how hungry his team was. But there is hunger on the Duke side as well and the Blue Devils desperately want a bowl win. With a win, Duke would likely once again place in the final top 25 at the end of the season. It'll be a tall order for the underdog David Cutliffe led Blue Devils and it will be a fun game to watch unfold. Kickoff is at 2:00 and look for our preview coming later this week. Blue Devil Nation will take in the game as well where Patrick Cacchio will be their live for all the happenings. One could not help but notice when walking to a Duke Men's Basketball game the changes occurring at Wallace Wade Stadium. The field is indeed being lowered and the crews are working around the clock to makes sure the first phase stays on schedule. There are many fans who waited a good long time for a facelift to happen. While I miss walking or running around the track already thinking back on Duke Football ghosts past, I look more forward to new memories. The football program has plenty of momentum and the dedication needed from the Duke Administration to compete at a high level now. 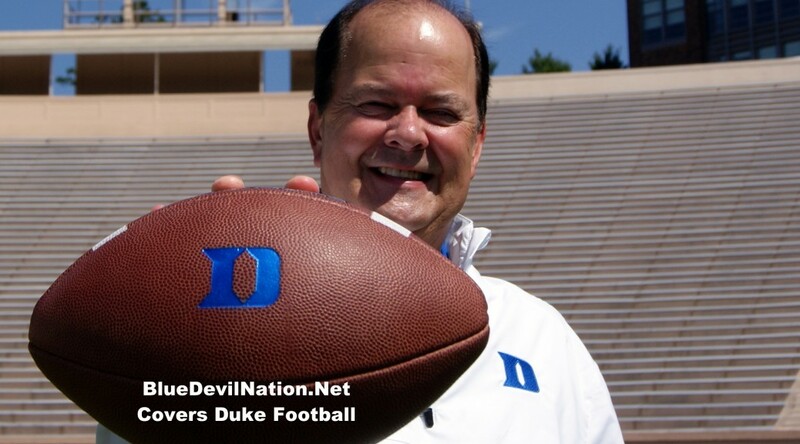 The future looks bright for Cutcliffe and his program and it's good to know that the coach has found his home. In the last two wins over Elon and UConn, the Blue Devils at times looked vulnerable. Coach Mike Krzyzewski pointed to this post Elon win and provided a myriad of possible reasons. Duke is flying high right now at 10-0 but the coming ACC slate is a beast this season. With the way this team started the season, they looked as if they were at the top of their game. But there are plenty of more lessons to be learned from a group which starts three freshman. Those lessons will become more clear to us as the games come more frequently on the schedule past the final holiday break. For the record, most of the team has gone home to their families, so it's a good thing Duke has two non conference games to shake off the rust upon their return. The always nice Holiday Invitational kicks off this coming Friday in Raleigh where Duke prospects Brandon Ingram, Dennis Smith Jr. take center stage. Unfortunately, the Duke Bowl game takes place the same Saturday. Duke takes on Toledo at home on the final day of the event and the women's team takes on UConn the same evening. That schedule makes it tough on local Duke fans who want to watch possible future hoopsters compete. Take your vitamins now Duke fans for there is a busy, yet fun weekend coming up. It all starts this Friday at 6 p.m. when Coach Mike Krzyewski and the Blue Devils basketball team takes on Presbyterian in Cameron Indoor Stadium. 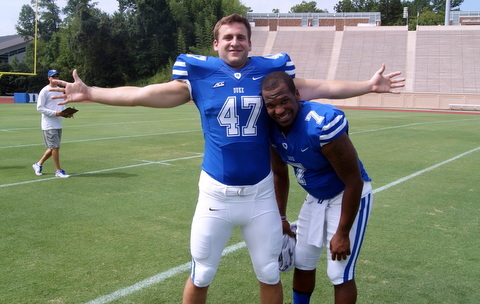 The very next day, Duke (8-1) will host Virginia Tech in football at high noon in Wallace Wade Stadium. And later that evening, Duke will play its second basketball game of the young season against Fairfield at 8 p.m. in Cameron, again. Yep! That's three games tipping or kicking off on campus within 26 hours. I suppose that makes for a maniacal experience for many and it's sure to keep a lot of scribes banging at their keyboards from duck until dawn. That said, let's take a look at the two basketball games sandwiching a huge football game in between in the latest Monday Musings. 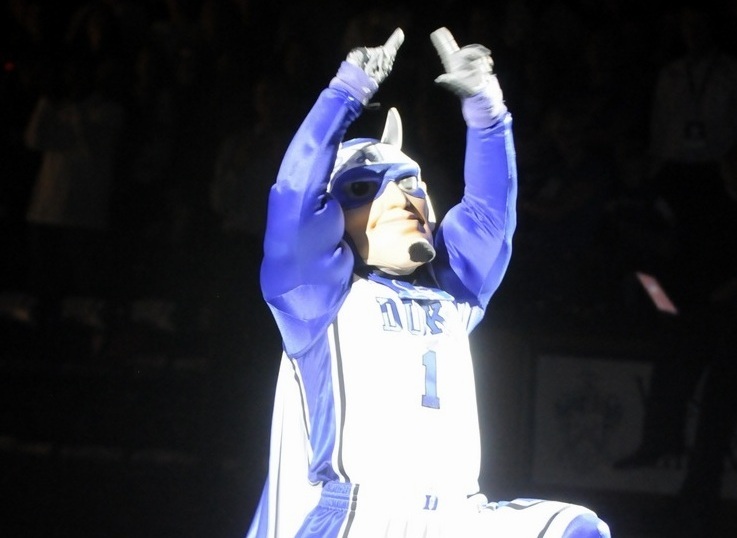 There is no shortage of excitement for this years tip off to the men's basketball season at Duke and for good reason, or reasons. Firstly Coach Mike Krzyzewski will win his unprecedented 1000th collegiate basketball victory unless half the team is goes down to injury. Yes, that was sarcasm for this years team is truly loaded. 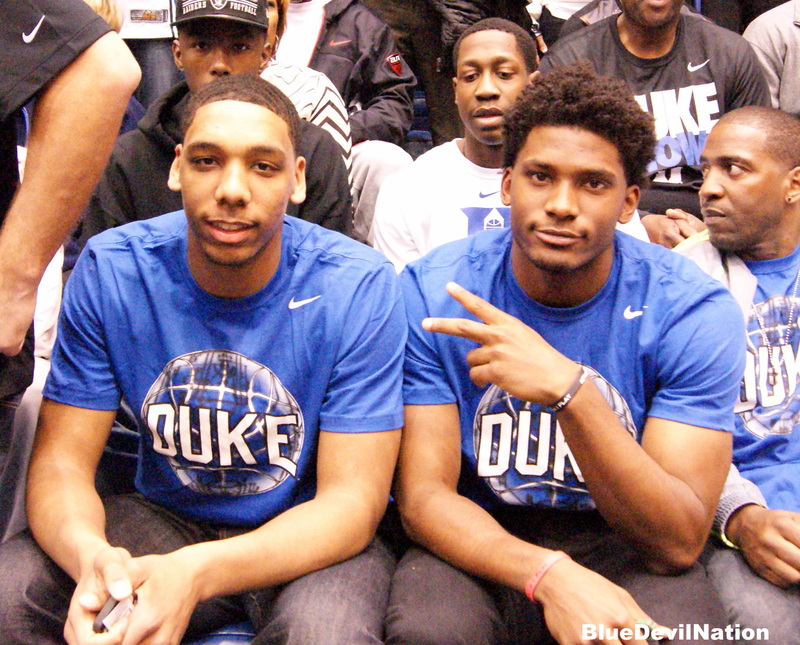 It all starts with an incredibly talented and mature freshman class which features the much hyped Jahlil Okafor. Blend the group which includes Tyus Jones, Justise Winslow and Grayson Allen in with some key vets like Amile Jefferson, Quinn Cook, Matt Jones, Rasheed Sulaimon, Semi Ojeleye, Marshall Plumlee and you have a pretty darn good team. Anyhow, they will take on the Blue Hose who hope the second part of their last name doesn't get a letter added by games end. Presbyterian is led by Jordan Downing who is a Big South Pre Season All Conference Team player, Downing is a guy they need on the court and he is a prolific scorer. Wallace Wade should be rocking when a traditional ACC power Virginia Tech comes to town. What makes the Hokies dangerous is that they are coming off a bye week and they'll be hungry to avenge last seasons home loss to Duke. The word out of Blacksburg is that they expect to sweep their final three games and carry a 7-5 resurgent record into bowl game. But Duke is on a roll and they are fighting to get back to Charlotte for the ACC Championship Game. 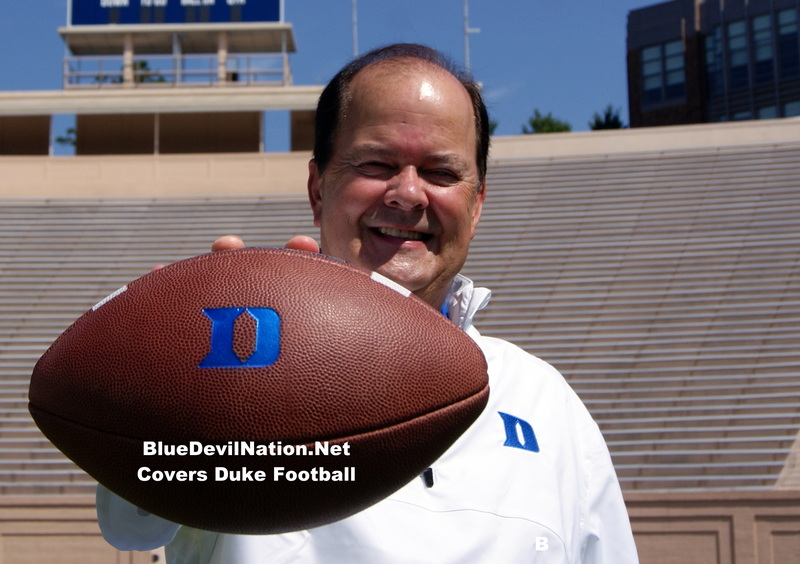 The Blue Devils have become not only a good team under David Cutcliffe, but a good program. The Blue Devils are firmly ranked in the polls, but they want to prove the few doubters remaining wrong and solidify their standing as a program that has arrived. This will be a physical battle between to very hungry teams and Wade will need their Wacko's to be there and into the game from start to finish and wearing their Duke Blue. By the end of the evening, the Duke Men's Coaching Staff will have a much better idea of what their team is capable of doing this season. With two games in two days, Duke is likely to play a lot of players and combinations and that'll be fine by Coach K. Early in the season, Krzyzewski is known to experiment with his line ups. We'll see right off the bat how his team responds to two games in two days which is what you will get at year's end in tournament settings. The opponent for Duke will be the Fairfield Staggs who are coming off and exhibition win over Bridgeport. The player to watch for the Staggs will be Marcus Gilbert who scored 26 points in the win. Look for Duke to try to push him off the three-point stripe where he is effective. It's bit of a rebuilding year for the Staggs who are picked at the bottom of their conference. We checked with some local motels and there are a lot of rooms booked for the weekend but plenty left if you're willing to drive some reasonable miles. There are some tickets left at GoDuke for the football game. If you cannot attend this weekend, tune into Blue Devil Nation who will be at all three games. For those who cannot make the trip to Durham for the games, both basketball games and the football contest will all be carried by ESPNU. Caleb Swanigan, a 6-8 post player from the Class of 2015 visited Duke during its exhibition basketball game win this past weekend. Swanigan has offers from pretty much everybody. 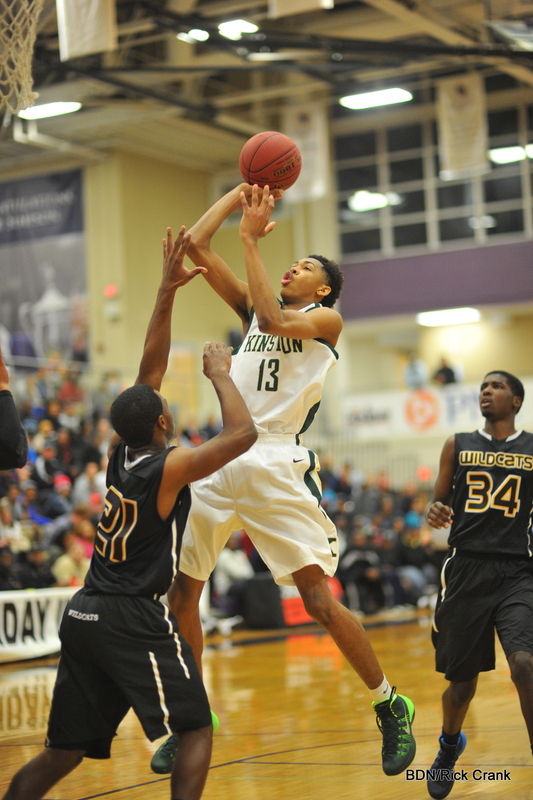 Duke will get a visit from their main target in the lithe Brandon Ingram this Saturday as well. 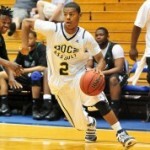 He is considering neighbors UNC and NCSU as well and recently visited UCLA. 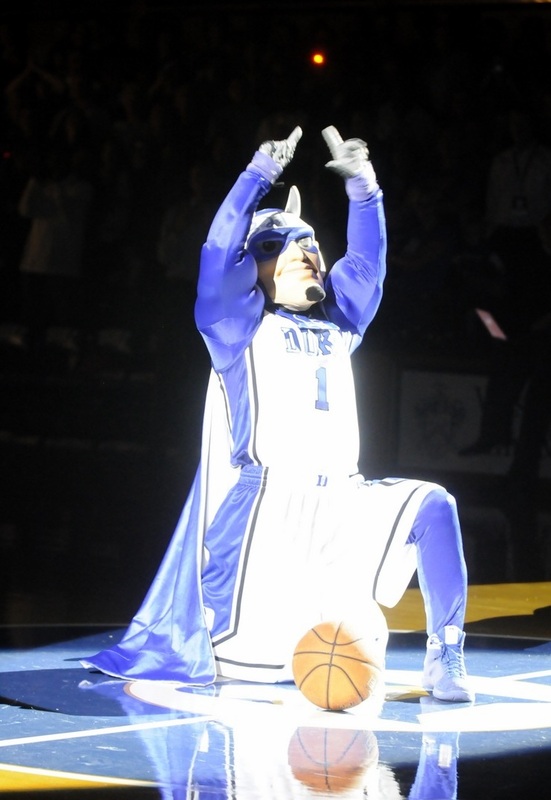 More talk on him for members of the Blue Devil Nation Premium section. Follow our football staff at Bob Green @JBobGreen, Patrick Cacchio @PatrickCacchio. 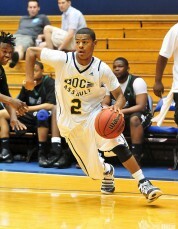 For basketball and football, that would be me @BlueDevilNation.Net. Also please like our slowly being built Blue Devil Nation Facebook page and if you are a Duke fan join our popular Facebook Group Blue Devil Nation where you'll find great Duke content. Ready for some Duke Football and Basketball chatter? Welcome to another edition of Monday Musings to kick off your week. This week we prep for basketball, talk of Coach K's NBA viewing habits and a the big win over Pitt and what to expect from Syracuse on the football side of things. Coming off a big win over Pittsburgh, Duke will waste little time in turning their attention to a pending road trip to Syracuse. Their focus is a good thing, because the Orange are better than their record indicates in that they played a challenging slate to date. In fact, Vegas who labeled Pitt as a FG favorite last weekend, this time gives the edge to the Blue Devils by 3 in their opening lines. That makes for what should be a close game on the surface. What Vegas knows is that Syracuse actually plays pretty good defense (held Clemson to 16 and Louisville to 20) and that they'll be scrapping for some wins to become bowl eligible. The good news is that Duke will not have to face nasty weather in that this game will be in the Carrier Dome. Add to that, players are generally quicker on turf and Duke is built for speed and one has to like the Blue Devils chances to further secure their division leading record. Duke Coach David Cutcliffe has instilled a one game at a time mentality in his team which worked well a season ago. Duke will likely be favored in all of their remaining games against ACC opponents, but the margin will not be great, thus the aforementioned focus will be the key to success. Had Duke lost to the Panthers, they'd have been mired in the middle of a crowded ACC Coastal race. In fact, the Panthers would have moved ahead of them had Duke not won an exciting overtime game. A week ago, some reporters were wasting air on questions pertaining to all the teams going 4-4. Now, it is clear that the Coastal Division race is down to three teams, those being Duke, Georgia Tech and Miami. The Pitt win further enabled the Blue Devils to control their own destiny. If they win out, they'll play in the ACC Championship Game in Charlotte back to back years. They can still lose up to one game and come out ahead, but that would mean some help along the way. Miami has a key home game with Florida State looming where Duke fans should be helping with the Tomahawk Chop cheers. The Yellow Jackets would need a win over a tough Clemson team, for Duke would win the tie breaker if they finished the season with even records. There are other games on the Jackets and Canes schedules for sure, but these mentioned are the ones to watch. This is where I refer you back to the perfect Duke strategy of taking it one game at a time. A second consecutive Coastal Division crown is within grasp if they do the work. Lastly, the victory over Pitt meant an ascent in both polls. Duke is now ranked 20th in the land by the coaches poll and 22nd in the A.P. How cool is it for Duke fans to be firmly in the first annual top 25 of the College Bowl Playoff rankings in its first season of existence? They'll move up a couple of spot there too from 24th by the end of Tuesday evening. The Washington Duke Inn sits on campus near Wallace Wade and Cameron Indoor Stadium. 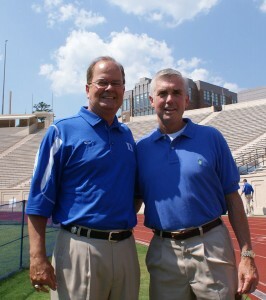 Duke Coach David Cutliffe joins Art Chase each Tuesday to talk Duke Football at the Vista Restaurant. This week, the event which is carried locally by 620 the Buzz has been moved up to 5:00 to help accommodate the men's basketball teams opening game at 7:00 versus Livingstone. If you are going to the game, you can stop by the Inn and listen in live or just tune in a little bit earlier on the radio. Duke finally gets to play somebody other than themselves on Tuesday evening when they take on Livingstone in the first of two exhibition games. Duke was tabbed by the media to win the top-heavy ACC this past week where four teams are in the nation's top 10 ranked teams. Cameron will be rocking as Mike Krzyewski debuts his team to the masses. This will also be the season when the man known as Coach K gains his unprecedented 1000th win as a collegiate basketball coach. Add that to an exciting freshman class led by Jahlil Okafor and some key returning players and you have the makings for yet another enjoyable and possibly magical season. The Blue Devils held an open practice this past weekend which was very well attended despite the football team playing at the same time. It is also worth mentioning that the women's team walloped their opponent in an exhibition game to start their hoops season. I was able to ask the last question to Coach Mike Krzyzewski during media day at the recently concluded ACC Operation Basketball. I asked of his viewing diet of basketball games during the season, specifically the NBA. It should come as no surprise that Coach K is an avid follower of the league being the Team USA coach, but I wondered how many games he watched in season. The answer is many, Krzyzewski said that his TV was constantly tuned into NBA games but that the sound was not always on. He basically compared watching the games in the back drop while he worked on his teams strategy to music. If he sees a play that catches his eye, he rewinds it and turns the sound up. So, his comparison was much like we all get into music. If a tune catches you, it becomes in grained in your taste palette. The same can be said for plays he might implement or build on for his teams once he sees it. In short, good plays are to his eyes, like good tunes are to his ears. The Virginia Tech at Duke game will has a newly slated noon kickoff time in Wallace Wade Stadium. The game will be televised on ESPNU. Be sure to check out our football player interviews after the win over Pitt in our football section. Also, tune in tomorrow after a busy media day where Blue Devil Nation will cover Cut's presser and Coach K and company as they embark on the hoops season. Also follow our staff on our twitter network and join our open Facebook Group, Blue Devil Nation which is a place for Duke fans to hang out. See you at the games! 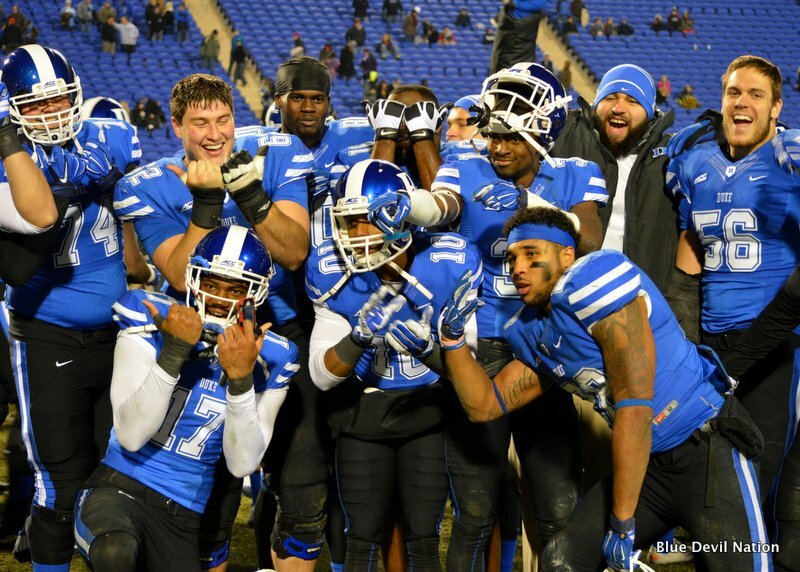 Monday Musings – Duke Football and Hoops! 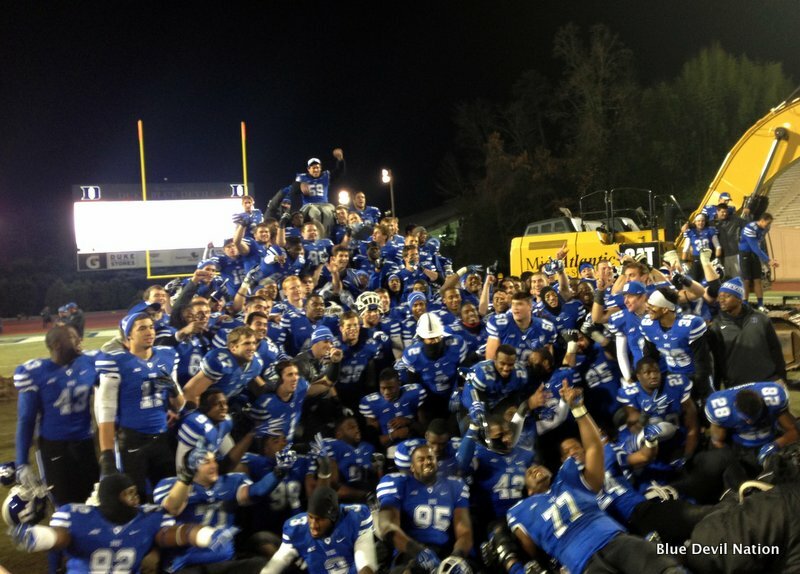 The Duke Football team took care of business in Atlanta defeating the Georgia Tech Yellow Jackets. 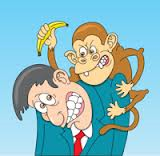 The Blue Devils last win in this series came in 2003, so they indeed got that monkey off their back this past weekend. With the win, Duke stands 3-2 in their last five game against ranked opponents, including the losses to Florida State and Texas A & M a season ago. The win also earned them votes in both polls where they are currently 28th in the A.P. and 29th by the Coaches. This past weekends win was a big one for the team and program. It's that time of year when each game is a bigger one that the last for bowl hopeful teams. Duke will next face Virginia, a team that has had the Blue Devils circled on their calendar. This years UVA team is tough and physical and they stand 2-0 in the Coastal Division. Vegas currently has Duke listed as a 3 point favorite but it will take a great effort for a win and fan support is very important in this game. There is a similarity to last weeks game, in that Duke open as a 5 point favorite and that has dropped quickly to 3. Virginia is also coming off a bye week just as the Blue Devils were before their first ACC win. I am by no means a better, but this is what they call a trap game for those who do. What does this all mean? It'll be one heck of an effort for a Duke win. The Blue Devils need their student section full in this game. They also need their fans to show up despite the game being televised which kicks off at 12:30. Quinn Cook will be the lone senior as far as recruited players go this season for Duke. It's hard to think of Cook as the elder statesmen here in that I have known the young man since he was fifteen years old. 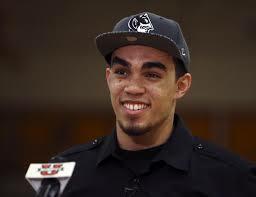 Cook started his career at DeMatha before transferring to Oak Hill Academy, eventually landing at Duke. For those who may not remember his Father passed away at a very young age. Cook now has the exact same locker as did his mentor Nolan Smith. Make no mistake about it, he will be a key to success in the coming season be it his play or mentoring younger players. It should come as no shock to anyone that Jahlil Okafor and Tyus Jones lockers are side by side. The two Duke freshman formed a relationship while playing AAU ball and they quite simply do all things together. The beauty of this for this years team is that they already have great chemistry between them, but it will be vital that they extend that team wide. Many Duke fans worried and for good reason when Steve Wojciechowski (Wojo) left for Marquette. The season before Duke lost Chris Collins to Northwestern and these two guys had been around forever. 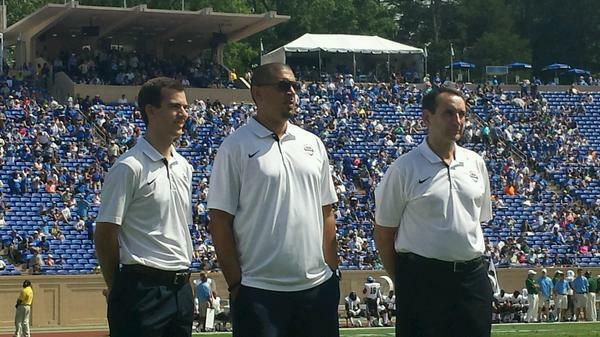 After a season with Team USA, Jeff Capel seems more than poised for filling those shoes. After all, he was a head man before at Oklahoma and groomed the likes of Blake Griffen. Nate James is stepping into a larger role as well and he relates well with the players. 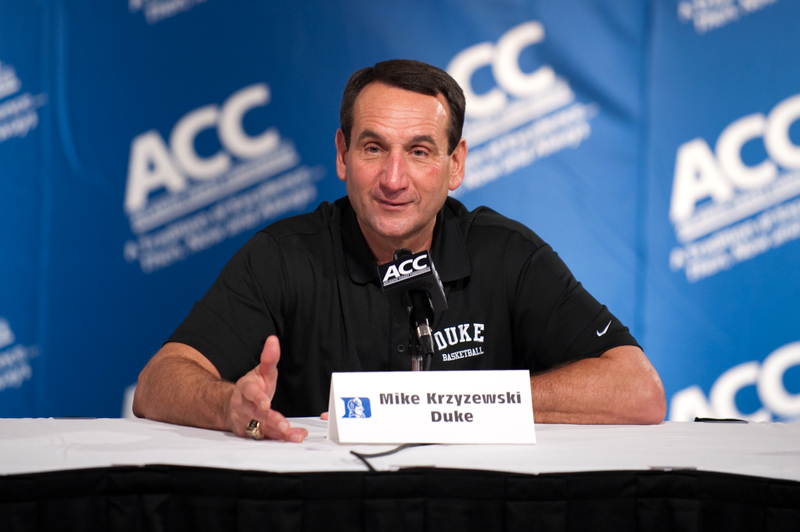 One might remember that it was James, along with teammates Chris Carrawell and Shane Battier that visited Coach Mike Krzyzewski when Duke suffered severe losses to the NBA. 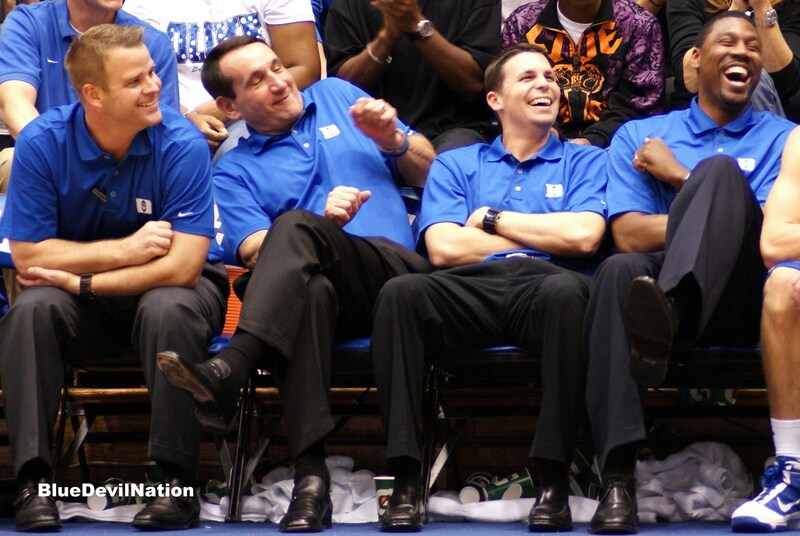 James assured the Duke coach that the Blue Devils would be fine then and he is doing the dame now. While Jon Scheyer had his career cut short with an unfortunate eye injury, he is still thriving in basketball. Scheyer has shown an uncanny maturity early on which belies his young age. He can mentor the players in that he is barely removed from the roster. He, like James, can tell guys what it's like to be on a national championship team, while Capel can speak to adversity. Capel was on the team when Krzyzewski has his back issues forcing him to the sideline. 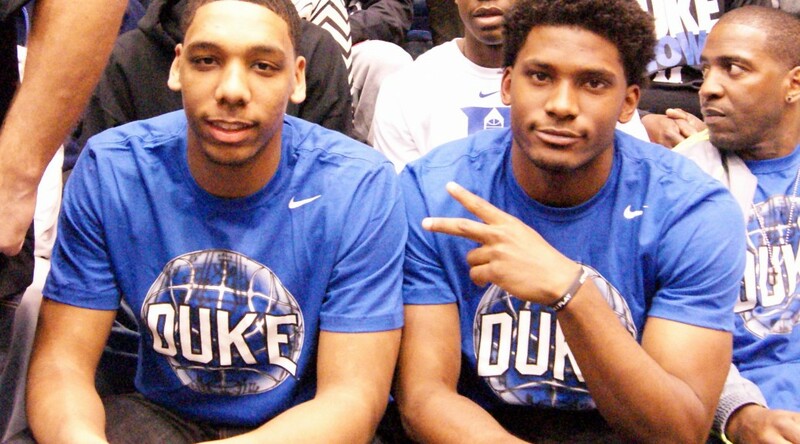 Together they form a sold core and that should bode well for Duke in the coming seasons. When Duke lost to Miami on Saturday evening, many fans were quite frustrated. Despite the offensive struggles to consistently move the ball, the defense played well enough to win the game. Had there been just decent execution when they had the ball on offense, the game would have looked a lot different. But let's not get riled up just yet, in that a season ago, Duke started the season 2-2 and 0-2 in the ACC before righting the ship on their way to the ACC Championship Game. With a bye week at hand, the Blue Devils will do some soul-searching and a bowl eligibility is a mere two wins away. There would be no better game than to make a statement in than their next game at Georgia Tech. The Yellow Jackets and their salty coach have owned the series of late and this is the one team Duke needs to find a way to defeat if they are to contend in a tough division. As for the Anthony Boone, who has struggled, he's as good a leader as there can be, but he needs to get his throwing mechanics to come around and fast. Let's not forget that the Miami defeat was his first as a starter in the regular season and that's an incredible accomplishment. It wasn't that long ago that fans just wanted to compete against a team like Miami on the road. Now, they get upset when Duke doesn't win. That is a testament to how good of a job Duke Coach David Cutcliffe has done with the rebuilding process. That said, let's see how the team rebounds against a tough challenge in their next game before passing judgment on a season that has seven games left. In my opinion, Duke had to adjust to the fast and stronger competition against Miami and anybody who watched the game realizes if their errors had been reversed, they could have still won the game. Granted, it makes for some extra frustration just knowing that. The Duke Basketball season is more or less upon us. When October hits in Durham, the hype starts and for good reason in that Coach Mike Krzyzewski has built a juggernaut program. As we start to talk more of the coming season, go to our Duke Basketball section for existing articles. The Blue Devils have been picked in the top ten in the three preview magazines which have hit newsstands, but only one picks them to win the ACC and two have arch rival UNC ahead of them. The bottom line is the ACC is tough at the top. The Tar Heels are deep and talented and Virginia is still quite solid. Louisville has no major weakness in their front court or back court and Syracuse will be better than some think despite their losses. Florida State will be much improved and Pitt is formidable as well. Miami and N.C. State could be sleepers but there is a drop off at the bottom. It should be a great season. The facilities are improving at Duke. Okay, so it took long enough in football, but the recently announced changes are exciting for the fan base. In two years time, you will not recognize Wallace Wade Stadium. Already gone are the World War II era rest room facilities and now the distinct changes are about to take place. If you've been asleep at the wheel, let me remind you that construction starts immediately after the Wake Forest game which closes the season. Duke now has the go ahead to get this project under way and for those of us who have clamored for this most of our lives for this moment, all I can say is finally. Don't get me wrong here, but there are some long time followers who have dreamed of this actually happening. Duke Athletics is poised to compete for many years to come across the board and that is the commitment many have waited for. With a grand resurgence taking place within the football program and basketball on as solid a ground as ever, the future looks quite bright. I will take one more stroll around the track I grew up using, thinking with each step made, where some classic plays both good and bad happened on the field. It will be a bitter-sweet moment only because access to Wallace Wade will soon be a thing of the past. At the same time, I have always known that the atmosphere would be better served without a track, where the fan base will be closer to the action with more of a true football look. It took a long time for changes to come to Wallace Wade. I look forward to seeing them in my lifetime for there was a time when I never thought that would happen. This was game was much closer than the final score indicated. Outstanding play from Duke Special Teams coupled with some of the worst I have seen this season on the other side of the ball, led to multiple scores. But take away the last long run from Duke quarterback Thomas Sirk late in the game and the Blue Devils and Green Wave had even yardage. The good news is that Duke came away 4-0 with a 47-13 win but the score is not indicative of the fact that this was a close game in some ways. The bright spots player wise for Duke, was the play of Deondre Singleton, Jeremy Cash, David Helton and Jamison Crowder. Our game ball goes to the special teams all the way around. 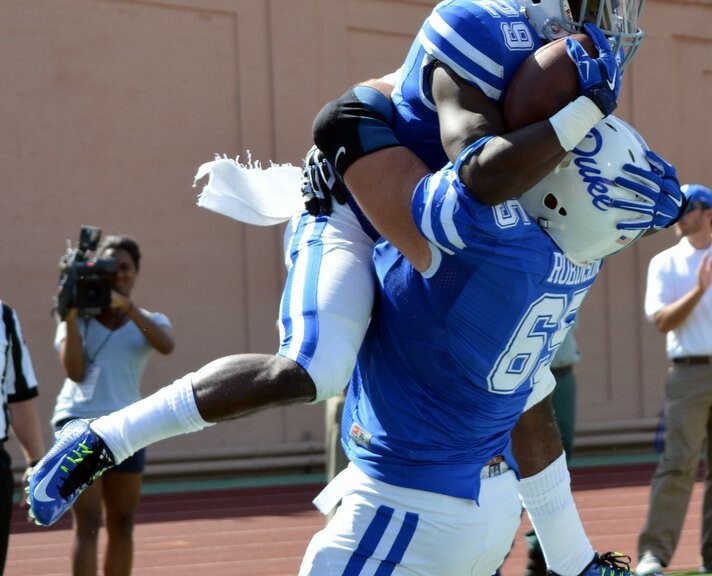 The Blue Devils had their first lost fumble of the season in their win over Tulane. But there could have been more. on close calls. Duke will likely focus their energy this week on protecting the ball. They came away luck a few times and turnovers can drastically alter games moving forward. Duke also had their first interception of the season, but there could have been more there as well for some passes went right into the pouch of Tulane defenders who muffed chance at a turnover. 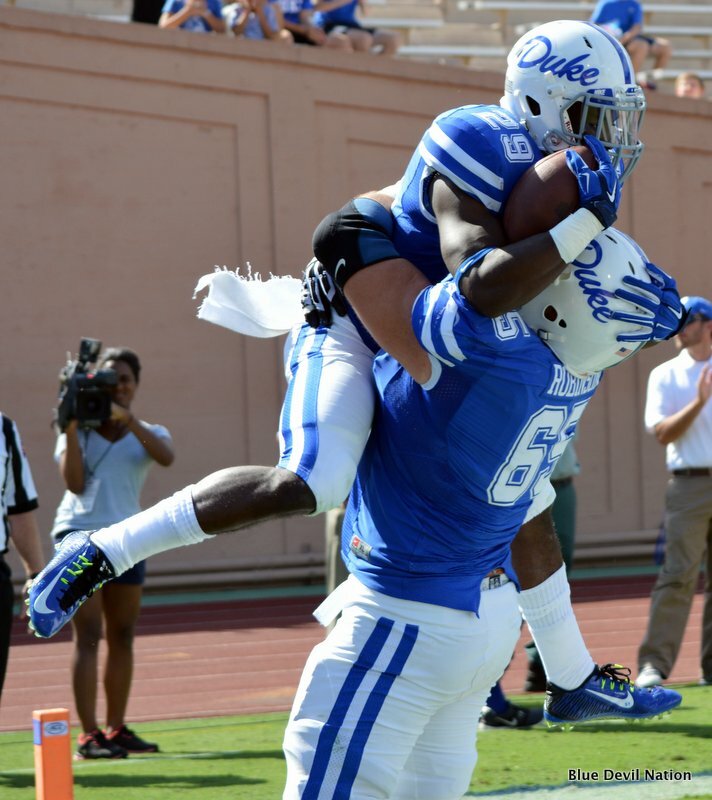 The Duke passing game struggled mightily with consistent play and that is something that could also catch up to them as they enter the meat of their schedule. Okay, so it sounds like I am being a little negative, huh? Despite Duke freshman Shaun Wilson putting the ball on the ground for the first fumble of the year, he continues to be the best option via numbers in a solid four man rotation in the backfield. He followed up his monster performance against Kansas with a 10 yard per average carry with just seven carries. His production per touch may earn him even more touches moving forward but the staff seems to want to bring him along at the proper pace for a kid playing straight out of high school. 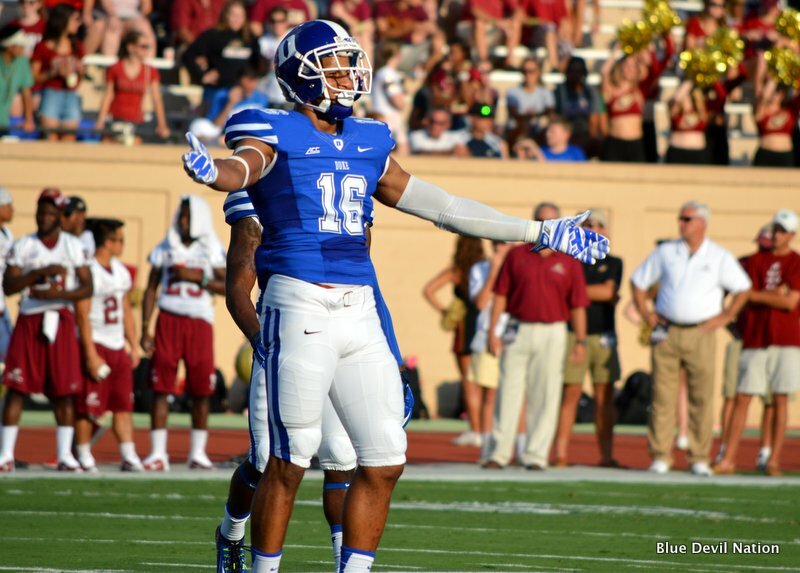 It is also worth noting that Duke has played some incredible football with Anthony Boone as their starter and that means his leadership is there even when his passes are a bit off the mark, Did I mention that Duke is 4-0? You simply cannot overlook intangibles when looking at match ups. Yes, Duke is ranked 23rd in the nation and Miami is unranked, but there is a reason the Canes come in as six point favorites in that they were picked by the ACC media to win their division. Miami has lost to two stout opponents in road trips to Louisville and Nebraska and they stand at 2-2, but you can bet that their ears will be pinned back come 7:30 on ESPN 2 this Saturday. They are a dangerous and talented team with their backs against the wall where they stand to go 0-2 in the ACC with a loss. They will also be extra pumped after Duke thumped them a season ago in Wallace Wade in one of the Blue Devils best efforts in recent memory. They also benefit from the return of running back Duke Johnson. Duke has defeated some not especially strong teams to date and this will be their first true challenge of the young season. Miami is by far the best team they have played to date and they are a strong, physical and quick football team. What a measuring stick this will be for both teams and a fun game to watch. A lot of people came to the forefront in supporting Duke Coach Mike Krzyzewski after a critical article from Yahoo Sports. This has all died down now after varying outlets lambasted what seemed like a borderline personal attack. The man known as Coach K was honored on the field this past weekends football game, alongside Jeff Capel and he got a deserving adoration from the fans. 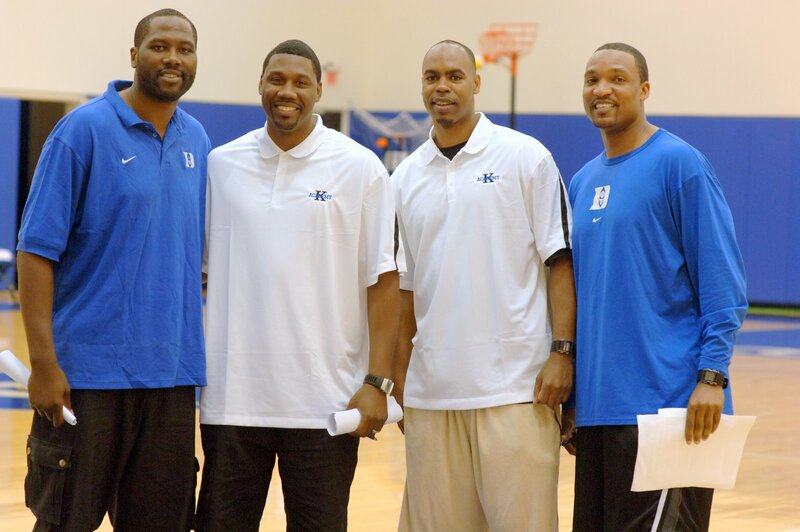 The Duke Men's Basketball staff visited several prospects last week, straight off their flight from Spain. This week they take in Tyus Battle on Wednesday and Dennis Smith Sr. and Brandon Ingram today. These are some of the top remaining prospects on the board and the Blue Devils are focusing in on their true targets now. For the record, the visits are to workouts or open gyms which is the allowed procedure from NCAA rules.